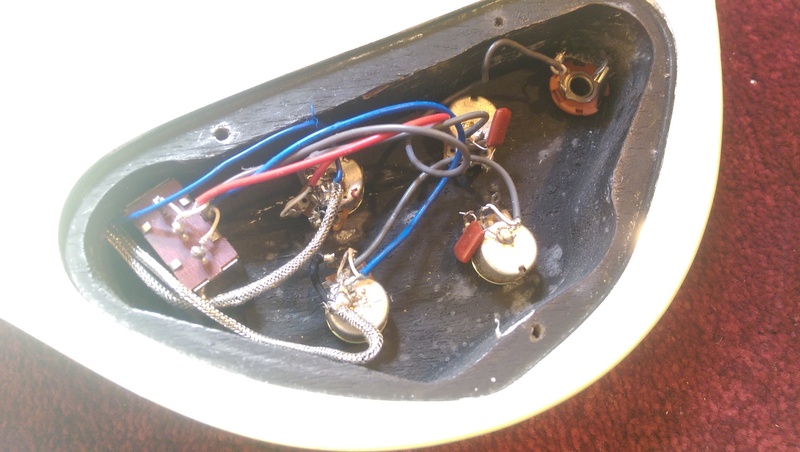 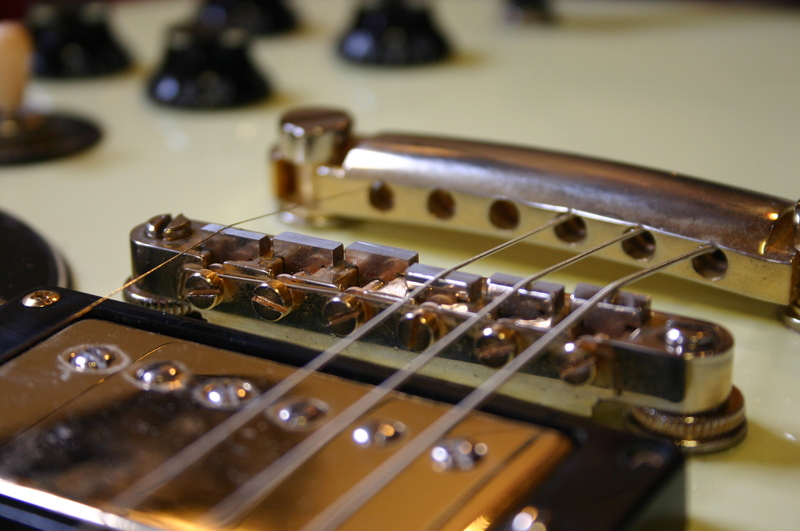 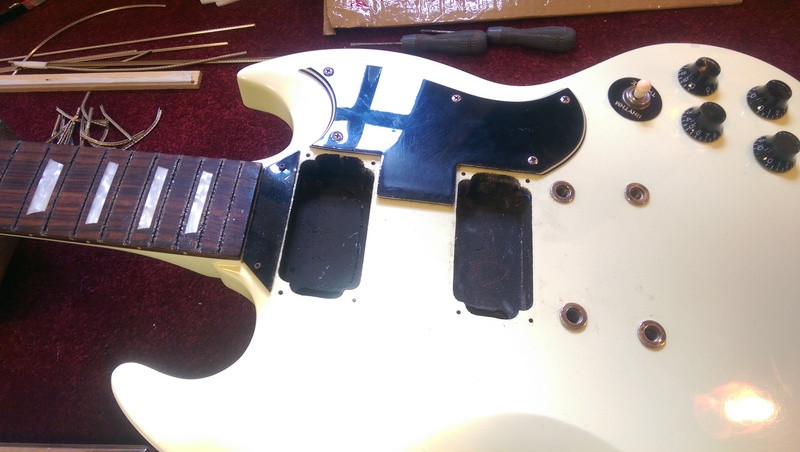 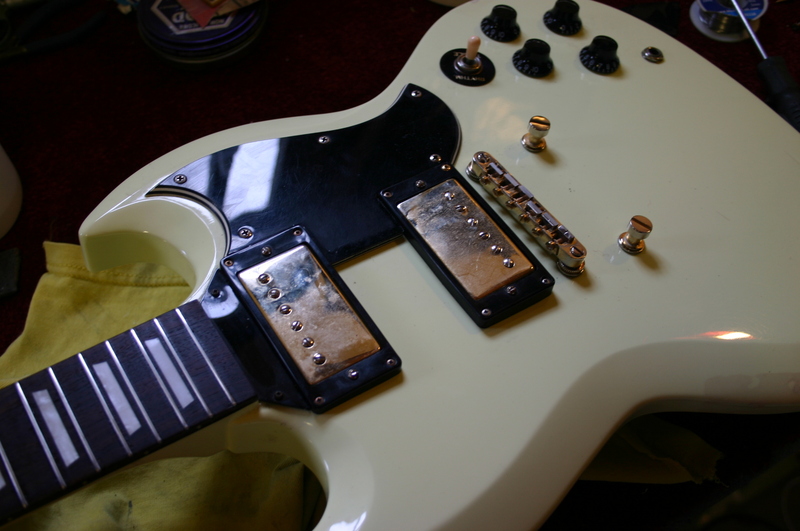 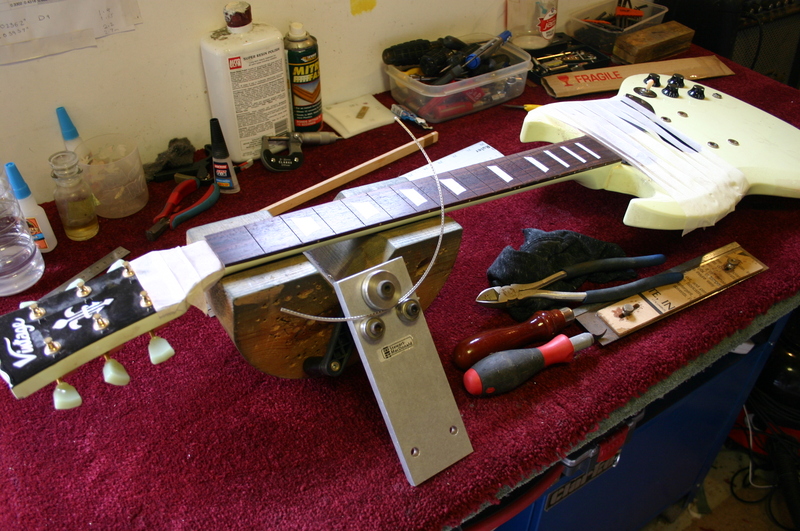 Modifying a guitar for players with arthritis and injuries. 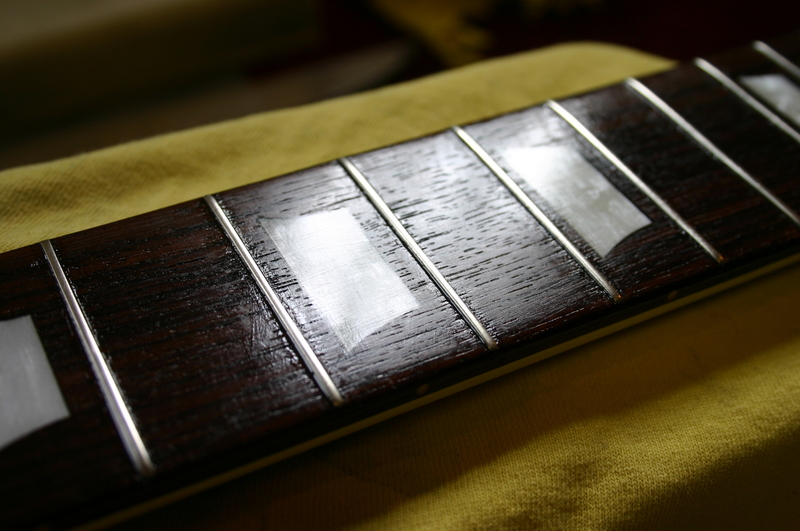 This was for a gentleman who has difficulty playing his guitar after an accident. 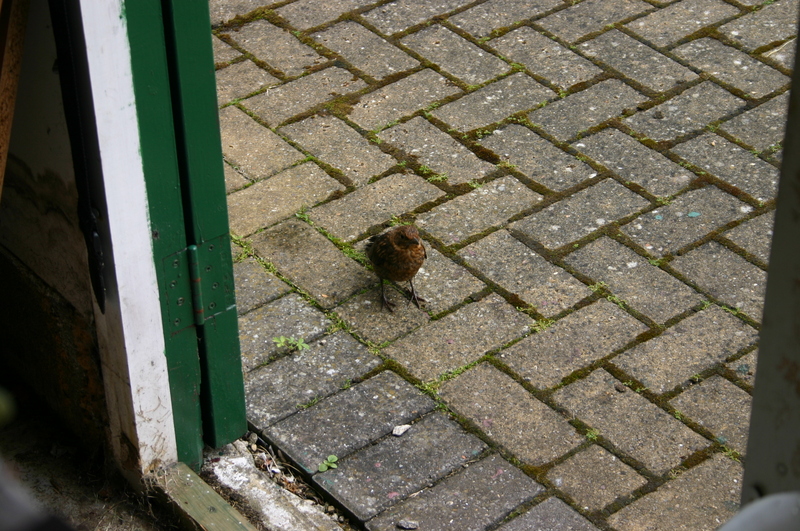 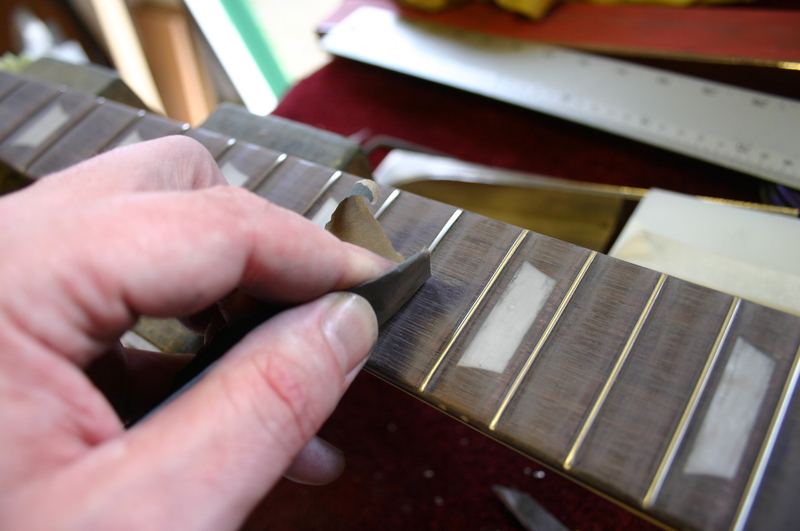 He has limited movement in his right hand and finds it very difficult to play bar chords. 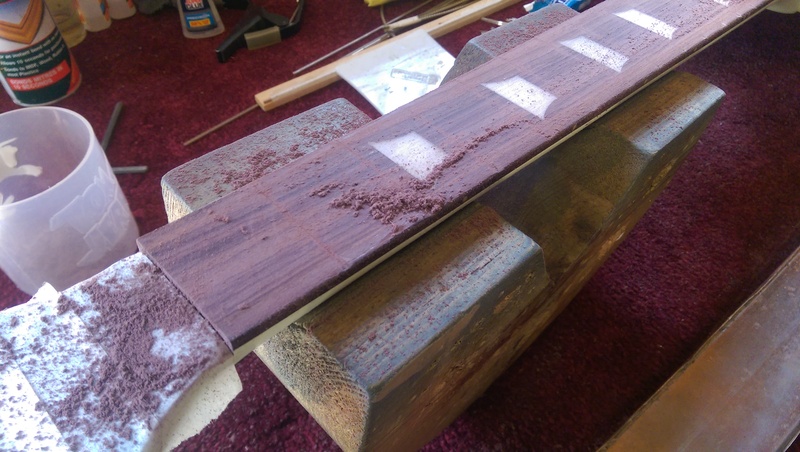 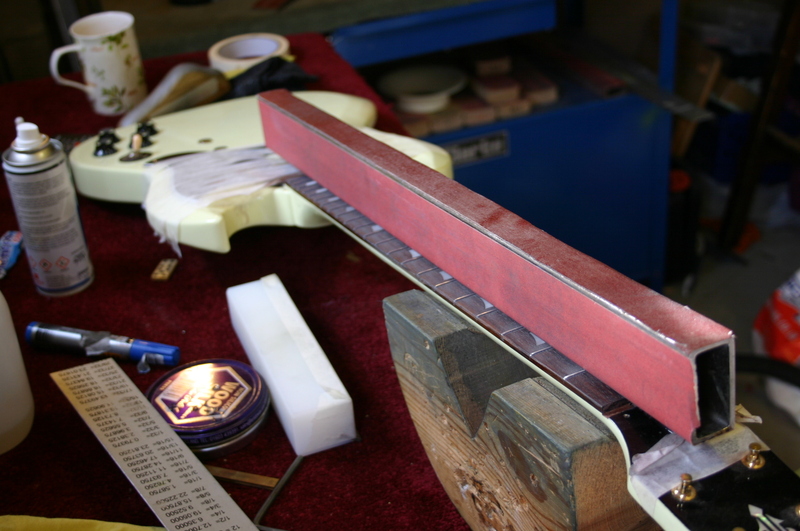 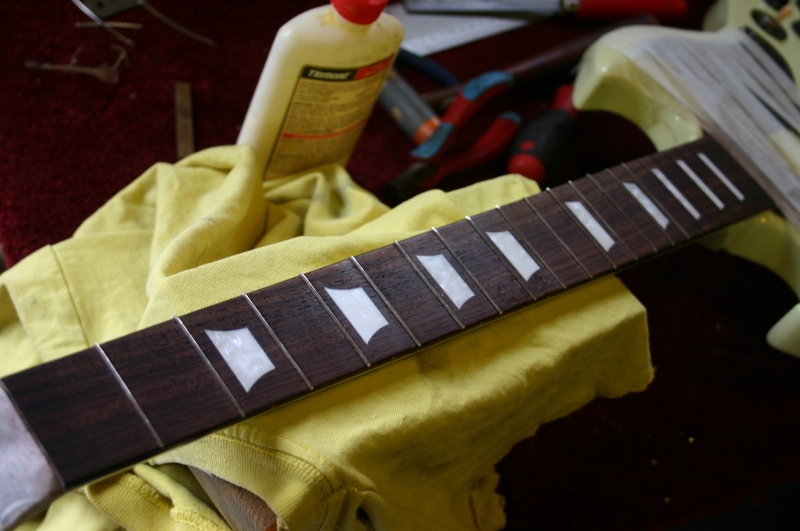 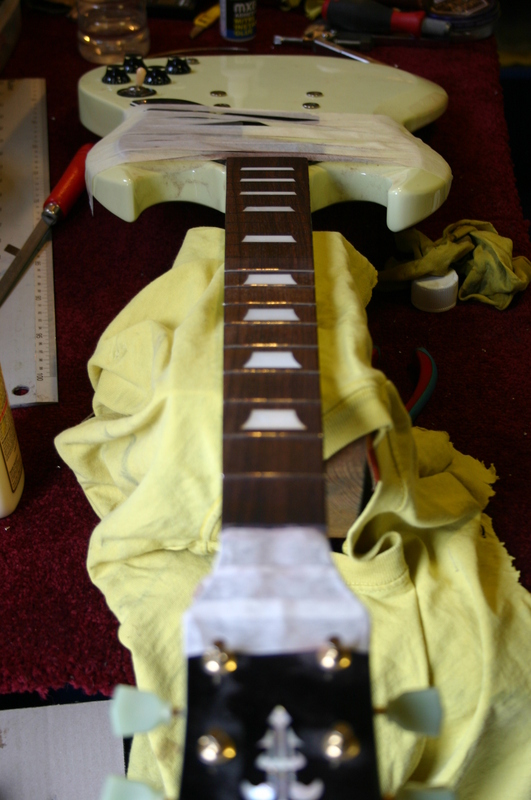 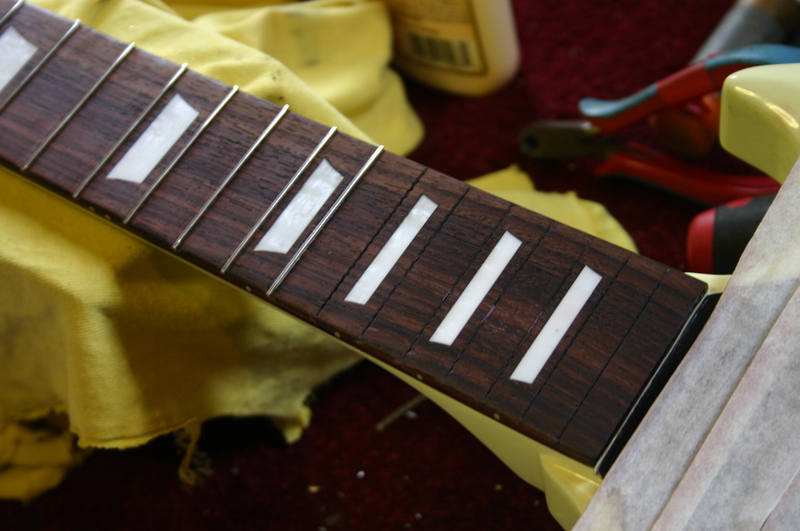 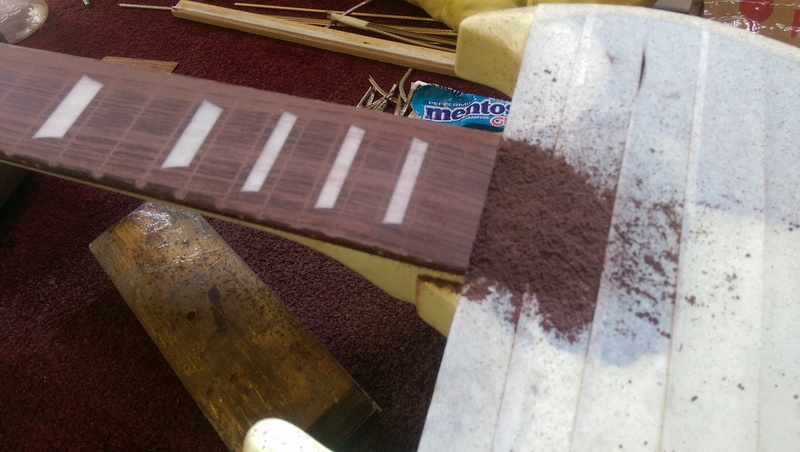 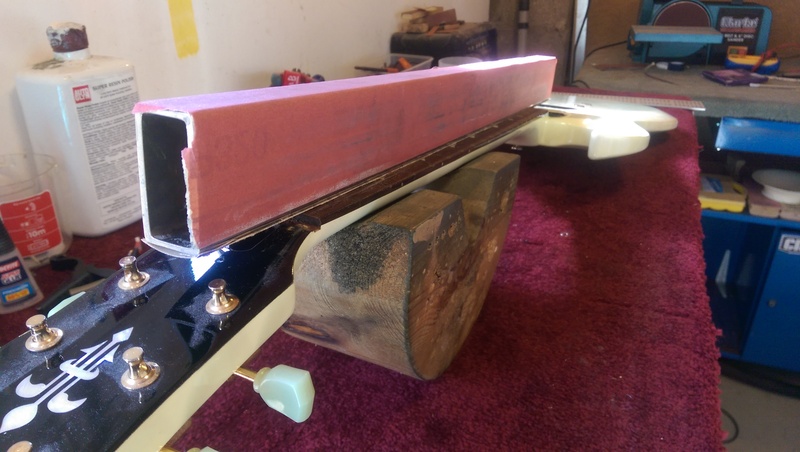 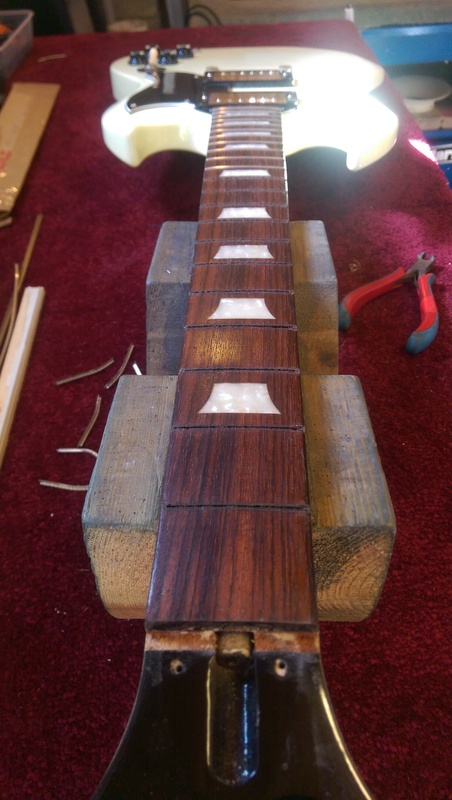 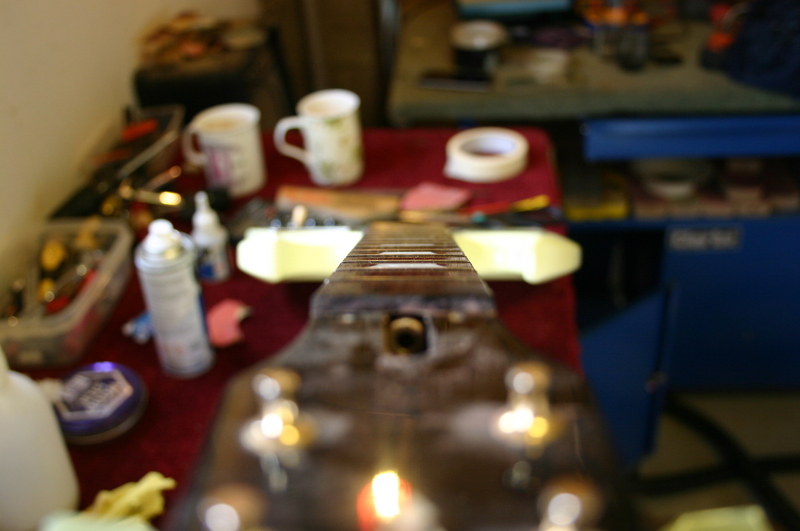 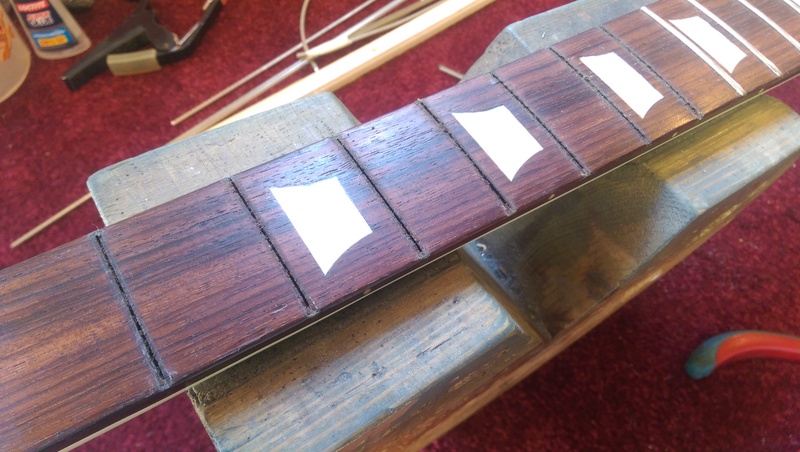 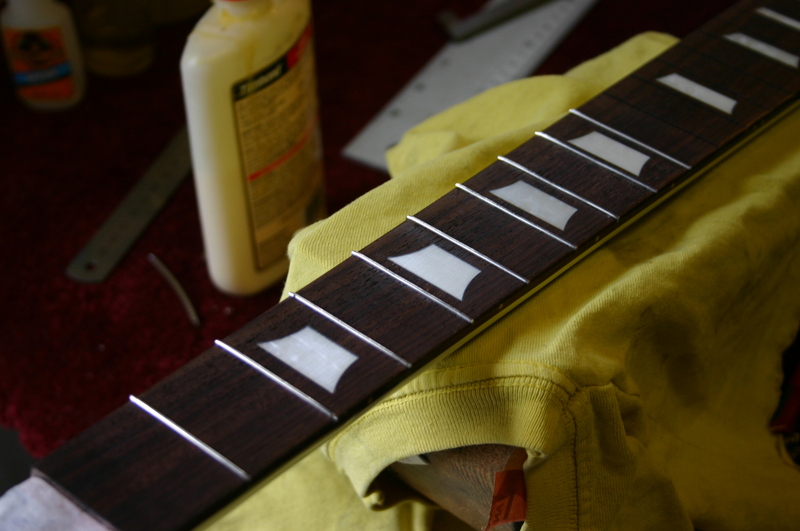 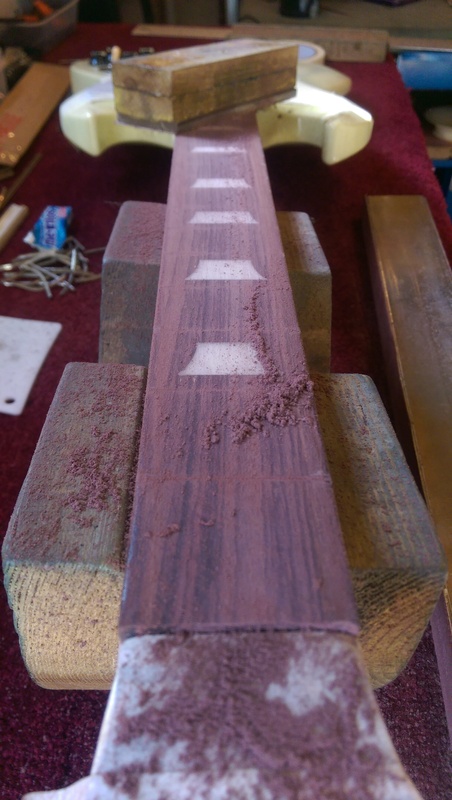 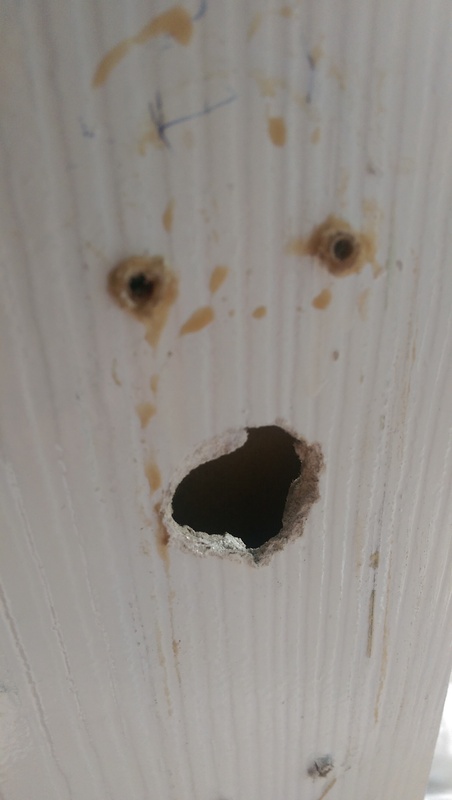 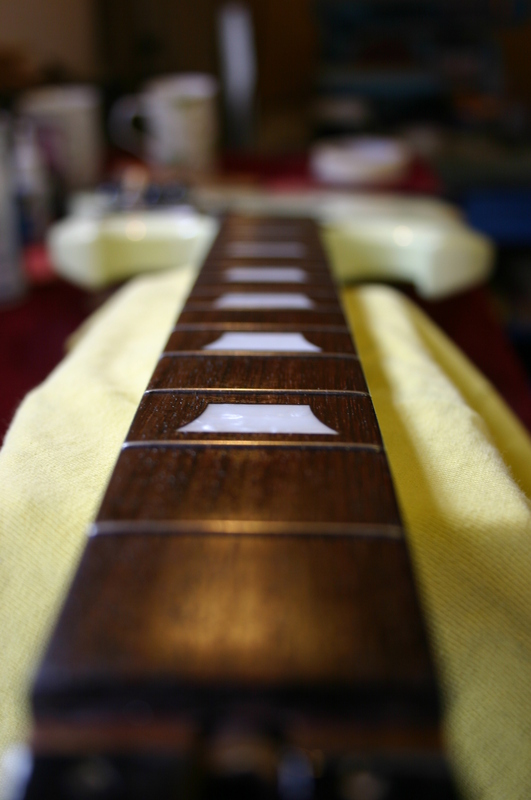 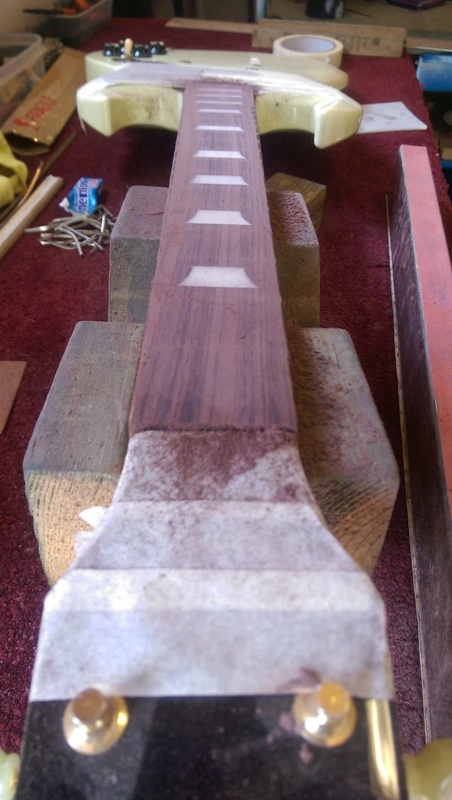 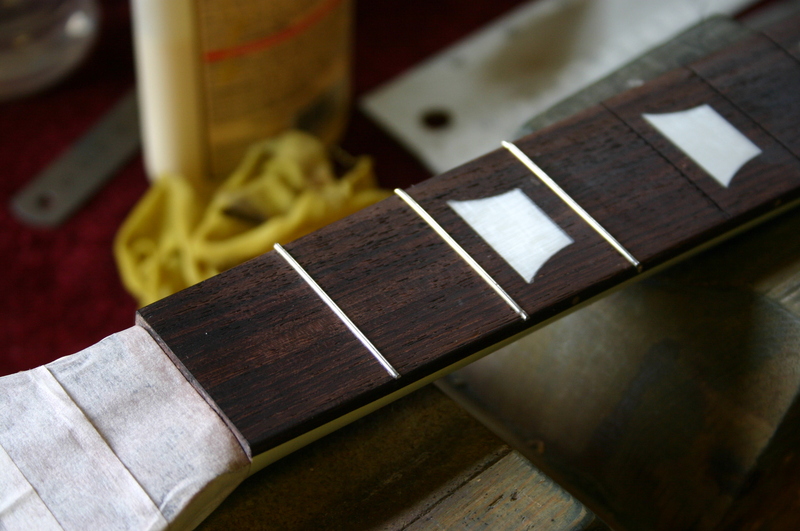 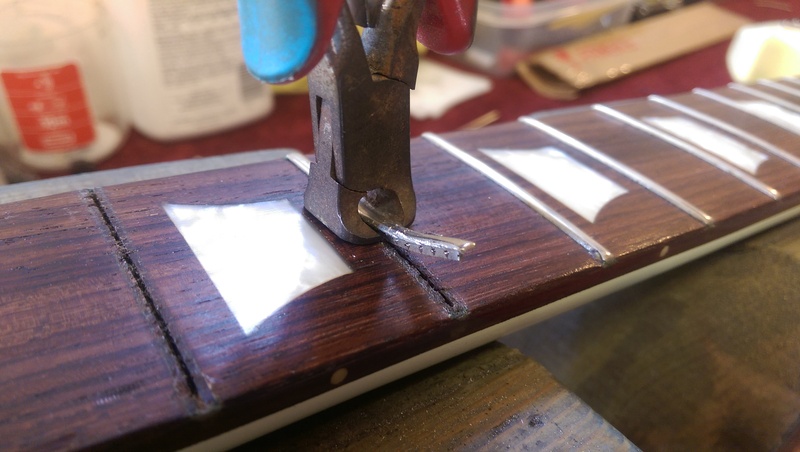 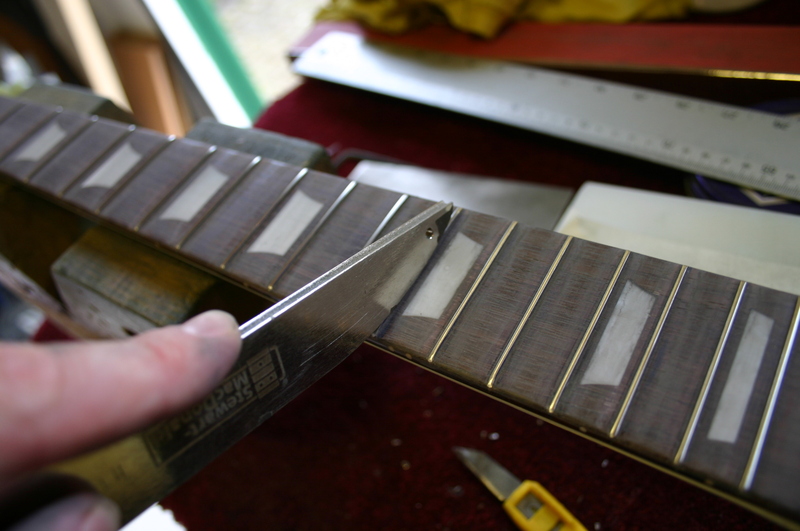 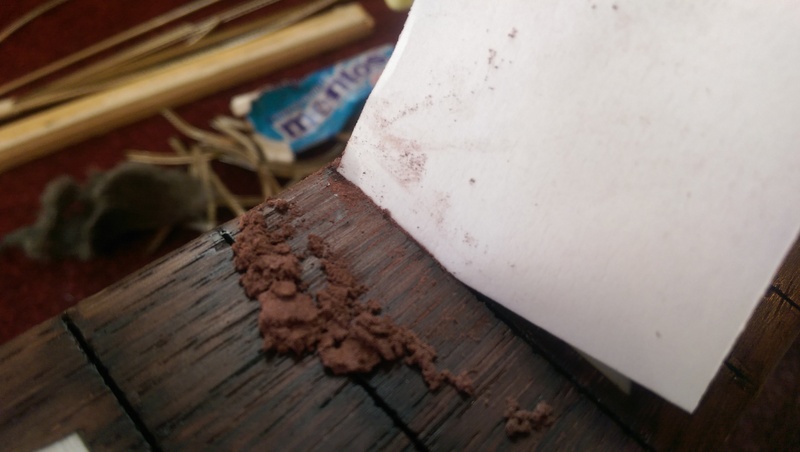 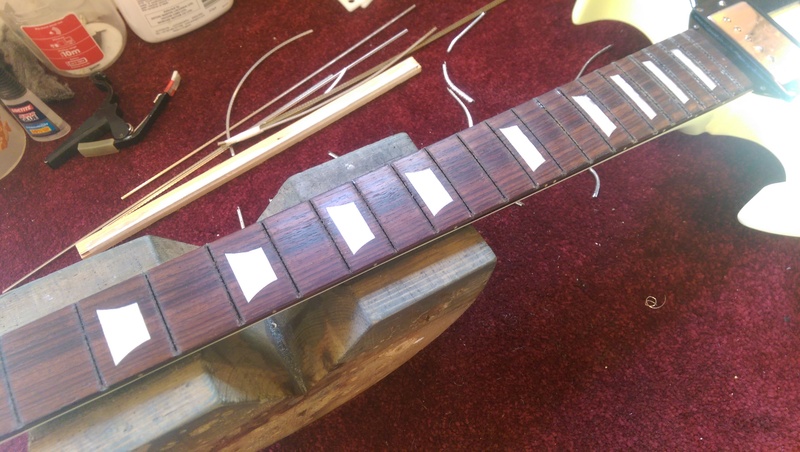 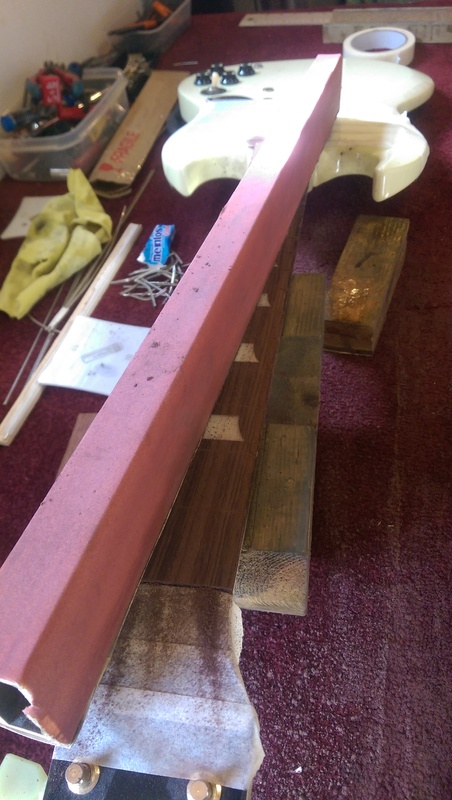 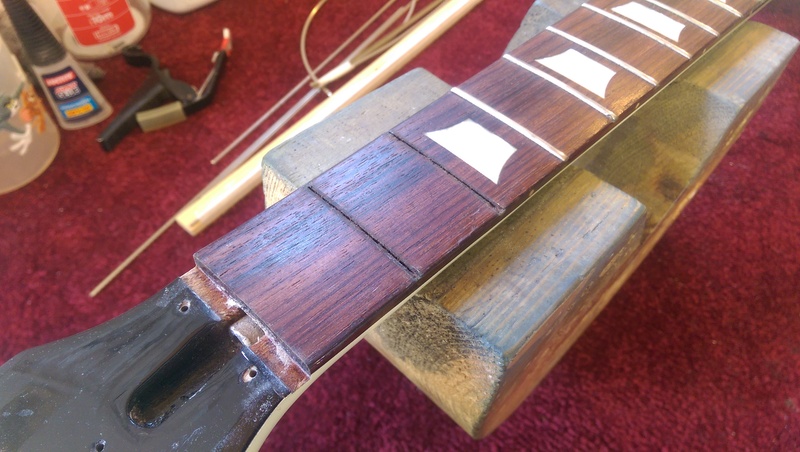 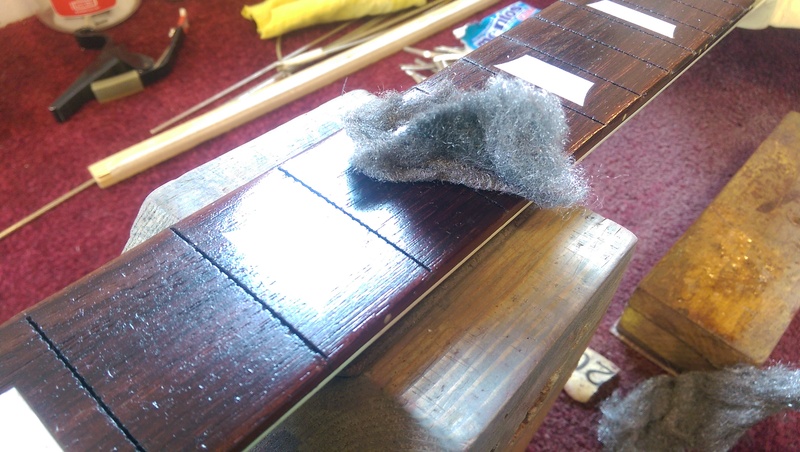 The fingerboard was sanded flat removing the 12″ radius and the action brought down to 0.4mm at the 12th fret. 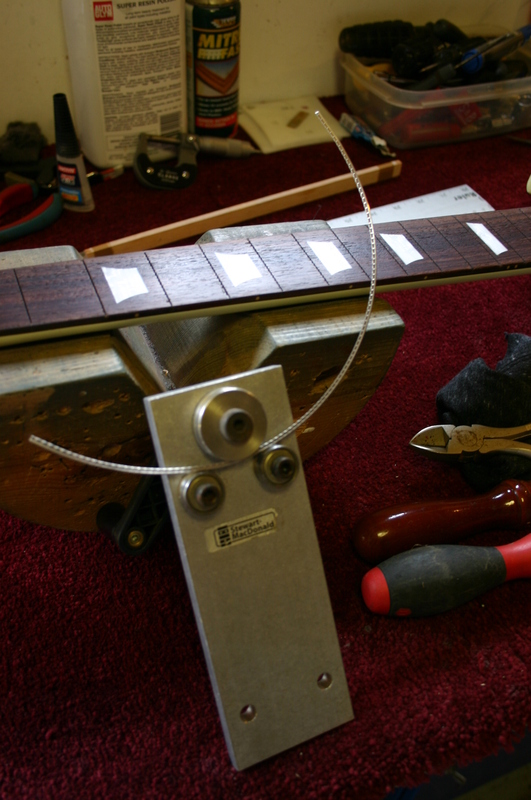 The new frets are vintage size mandolin wire and the guitar is set-up with 8-36 gauge strings. 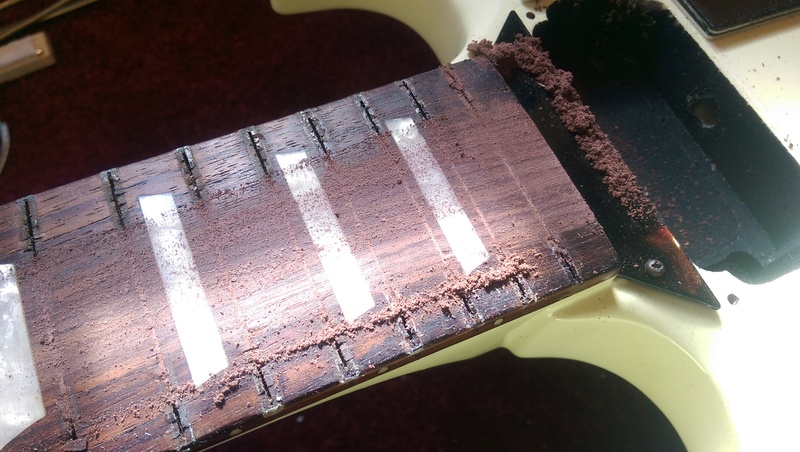 If you have discomfort in your left hand when playing, and would like your guitar converting to a flat ∞” radius board with choke free action (when bending) and action under 0.5mm, please get in touch.